BEIJING (Reuters) – China struck an upbeat note on Monday as trade talks resumed with the United States, but also expressed anger at a U.S. Navy mission through the disputed South China Sea, casting a shadow over the prospect for improved Beijing-Washington ties. The two sides are trying to hammer out a deal before the March 1 deadline when U.S. tariffs on $200 billion (£155 billion) worth of Chinese imports are scheduled to increase to 25 percent from 10 percent. 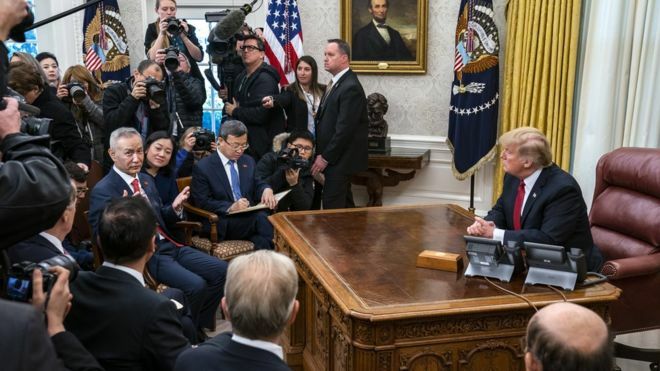 China’s trade delegation says it made “important progress” in the latest round of talks with the US, China’s state media reports. At the end of a two-day meeting in Washington, no deal was reached but China pledged to buy more US soybeans. US President Donald Trump touted the promise as proof that the two sides were making progress. They are pushing to reach a deal by 1 March to avert an escalation in tariffs. At a press conference with Vice Premier Liu He on Thursday, President Trump said he hoped to meet Chinese President Xi Jinping to hash out a final agreement by the looming deadline. “We have made tremendous progress,” President Trump said. China also agreed to increase imports of “US agricultural products, energy products, industrial manufactured goods and service products” during the talks, Xinhua reported. 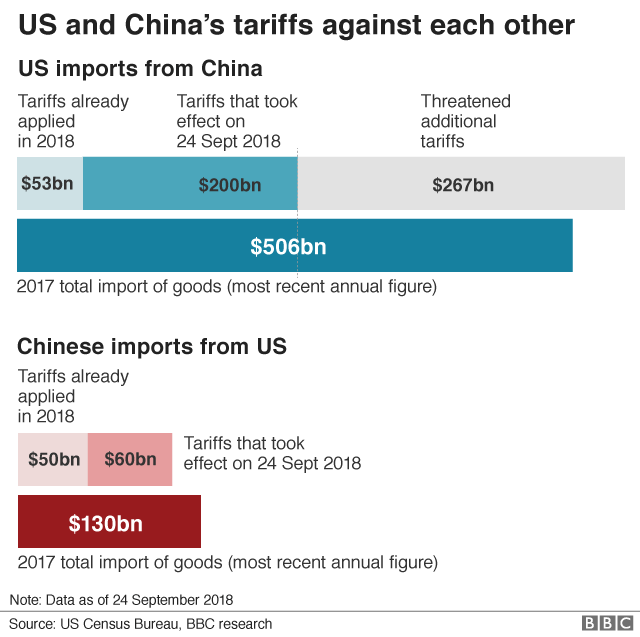 The two sides are racing to come up with a trade deal by 1 March, or the US has said it will increase tariff rates on $200bn (£152bn) worth of Chinese goods from 10% to 25%. US trade negotiators agreed to visit China for more discussions in mid-February, Chinese state media reported. In December, the two countries agreed to 90 days of negotiations, in an effort to defuse their escalating trade war, which had led to new tariffs on billions of dollars worth of goods. Shortly after the truce took effect, China – by far the world’s biggest importer of soybeans – bought 1.13 million tonnes of the crop from the US. The White House said on Thursday the country had agreed to purchase an additional 5 million tonnes of soybeans. Soybeans have been at the forefront of negotiations as US farmers have suffered from the sudden loss of their largest customer. The country imported more than 30 million tonnes of soybeans from the US in 2017 – a figure that dropped sharply last year amid the trade war. Chinese businesses, meanwhile, have been trying to find new sources to replace crops from the US, which was the country’s second biggest supplier after Brazil in 2017. China’s state media has painted these talks as “progress” based on the offer of measures or reforms that China wants to see, or needs. These are not concessions, but steps that are in line with reform and opening up already planned by President Xi. 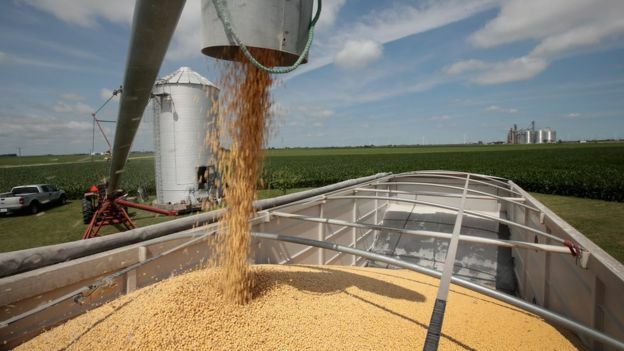 What politicians call the retail takeaway – in this case it literally is one – of buying more soybeans from American farmers went down well with President Trump. That’s the idea. China would probably like a deal with the President Trump. Just the President. A deal that the lead US negotiator, Trade Representative Robert Lighthizer, will sign off on is likely to involve verifiable, structural changes to the economy. China is far less likely to concede that. China would rather simply buy more soybeans and other goods or services to help President Trump fulfil his campaign pledge to deal with the trade imbalance between the two countries. Mr Lighthizer said he was focused on securing a enforceable deal. He warned that many issues remained unresolved. The US pressed for changes on intellectual property laws and rules that limit the operations of foreign companies in China, both of which have been key sticking points in negotiations. The two sides “attached great importance to the issues of intellectual property protection and technology transfer and agreed to further strengthen cooperation”, according to Xinhua. “We’ve made progress,” Mr Lighthizer said. WASHINGTON, Jan. 30 (Xinhua) — China and the United States kicked off here on Wednesday morning a new round of high-level talks to address their differences on outstanding economic and trade issues. The talks, scheduled for two days, mark a significant step in the implementation of the important consensus reached by Chinese President Xi Jinping and U.S. President Donald Trump during a working dinner in Buenos Aires, Argentina, on Dec. 1. The latest talks began shortly after 9 a.m. local time (1400 GMT) at the Eisenhower Executive Office Building, part of the White House complex, following a brief session open to the media. All the discussions and negotiations, which are expected to last until Thursday afternoon, will be held behind closed doors. The Chinese delegation, headed by Vice Premier Liu He, includes senior officials from major economic sectors of the Chinese government, while the U.S. team is led by Trade Representative Robert Lighthizer and includes Treasury Secretary Steven Mnuchin, among others. The White House has said that the U.S. side welcomes the Chinese delegation, which arrived in Washington on Monday, and that Trump is scheduled to meet with Liu on Thursday. BRUSSELS, Jan. 28 (Xinhua) — China and the European Union (EU) could take a more flexible approach by setting phase-based targets in Bilateral Investment Treaty (BIT) negotiations and have some early harvests which would be followed by more to come, the Chinese envoy to the EU has said. Zhang Ming, head of the Chinese mission to the EU, made the remarks in a recent interview with the Financial Times, according to an edited transcript of the interview provided by the mission on Sunday night. “The BIT talks is a priority in China-EU relations. Both sides have put in a great deal of effort. Both sides are pushing the talks in good faith,” Zhang said. Last year, the two sides exchanged the market access offers, which marked big progress and brought the talks into a new phase, he said. “This year, we hope to make further progress. To conclude the agreement requires both sides to work together in the same spirit. This is a process of making compromise. We hope that our European friends can work together with us,” Zhang said. “Usually, the negotiating parties tend to set an ultimate goal. Reaching the goal takes quite some time,” he said, proposing that the two sides could set phase-based targets and have some early harvests. China is now the EU’s second-biggest trading partner while the EU is China’s biggest trading partner. The two sides launched negotiations for a BIT in 2013 with the aim of providing investors on both sides with predictable, long-term access to each other’s markets, and protecting investors and investments. A US guided-missile destroyer sailed near the disputed Paracel Islands in the South China Sea claimed by China as US officials join talks in Beijing during a truce in a bitter trade war. 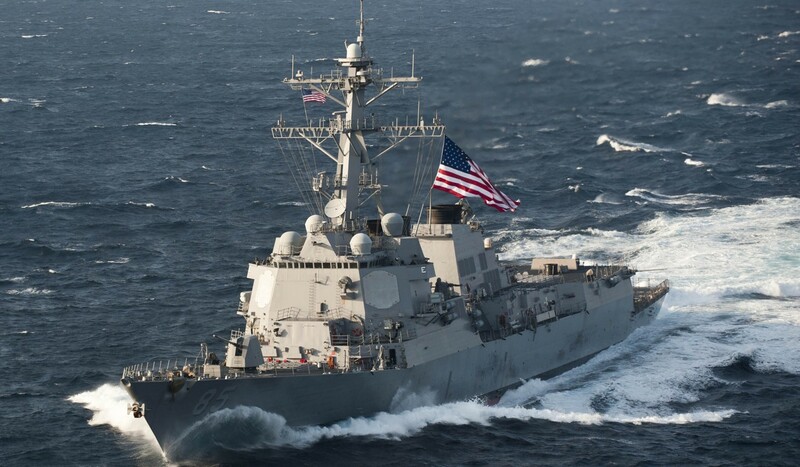 The USS McCampbell carried out a “freedom of navigation” operation, sailing within 12 nautical miles of the Paracel Island chain, “to challenge excessive maritime claims”, Pacific Fleet spokeswoman Rachel McMarr said in a statement. China lodged “stern representations” with the United States over the action, its foreign ministry said on Monday. Ministry spokesman Lu Kang told a regular briefing that the US operation in the region violated China’s law and urged the United States to stop such actions. It comes as trade talks between China and the United States are under way in Beijing, the first round of face-to-face discussions since both sides agreed to a 90-day truce in a trade war that has roiled international markets. 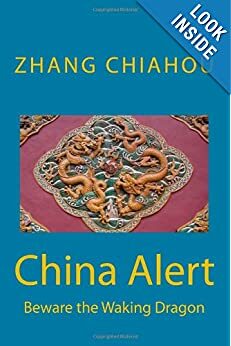 China claims almost all of the strategic waters, and frequently lambasts the United States and its allies for freedom of navigation naval operations near Chinese-occupied islands. Fears have grown in recent months that the dispute is just one vector in a bilateral relationship that is fast cooling across the board, with top administration officials sharply criticising Beijing for everything from human rights abuses and its influence operations in the United States. The two countries are also at odds over regional security issues, including Washington’s overtures to the self-ruled island of Taiwan, which Beijing claims as its own. China and the United States have in the past repeatedly traded barbs over what Washington says is Beijing’s militarisation of the South China Sea by building military installations on artificial islands and reefs. BEIJING, Dec. 13 (Xinhua) — China and the United States are advancing their trade talks with close communication on details, the Ministry of Commerce (MOC) said Thursday. “The Chinese side welcomes the U.S. team to visit China for consultation and is open to visiting the U.S. for communication,” MOC spokesperson Gao Feng told a news conference. Gao said more details of the trade talks would be released. Chinese Vice Premier Liu He, who currently heads the China-U.S. trade talks, spoke with U.S. officials on Tuesday, and the two sides exchanged views on implementing the consensus reached by the heads of state of the two countries and on the timetable and roadmap to push forward the trade talks. BEIJING (Reuters) – China and the United States discussed a road map for the next stage of their trade talks on Tuesday, during a telephone call between Vice Premier Liu He and U.S. Treasury Secretary Steven Mnuchin and Trade Representative Robert Lighthizer. U.S. President Donald Trump and Chinese President Xi Jinping agreed at a Dec. 1 meeting in Argentina to a truce that delayed the planned Jan. 1 U.S. increase of tariffs to 25 percent from 10 percent on $200 billion (157 billion pounds) worth of Chinese goods. Lighthizer said on Sunday that unless U.S.-China trade talks wrapped up successfully by March 1, new tariffs would be imposed, clarifying there was a “hard deadline” after a week of seeming confusion among Trump and his advisers. China’s commerce ministry said in a statement Liu had spoken to Mnuchin and Lighthizer on Tuesday morning, Beijing time, on a pre-arranged telephone call. “Both sides exchanged views on putting into effect the consensus reached by the two countries’ leaders at their meeting, and pushing forward the timetable and roadmap for the next stage of economic and trade consultations work,” the ministry said. A U.S. Treasury spokesman confirmed that the call with Liu took place, but offered no further details. The U.S. Trade Representative’s office did not immediately respond to a query about the call. The Wall Street Journal, citing people familiar with the issue, said Liu planned to go to Washington after the new year. The Harvard-education Liu, Xi’s top economic adviser, is leading the talks on the Chinese side. In comments reported separately by China’s Foreign Ministry, the government’s top diplomat, State Councillor Wang Yi, said if China and the United States cooperated, it would benefit the whole world. “If China and the United States are antagonistic, then there are no winners, and it will hurt the whole world,” Wang told a forum. The United States should look at China’s development in a more positive light, and constantly look to “expand the space and prospects for mutual benefit”, he said. 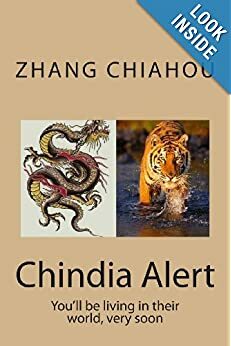 Global markets are jittery about a growing clash between the world’s two largest economic powers over China’s huge trade surplus with the United States and Washington’s claims that Beijing is stealing intellectual property and technology. The arrest of a top executive at China’s Huawei Technologies Co Ltd [HWT.UL] has also roiled global markets amid fears that it could further inflame the China-U.S. trade row.